22 November 2007: A remarkable milestone has been reached as Volkswagen Commercial Vehicles has now produced in excess of 10 million examples of the iconic Transporter van. This year marks the 60th anniversary of the creation of the model. The Volkswagen Transporter is unique. Not only is it one of the most easily recognised vans ever designed, it's also built up a loyal following. 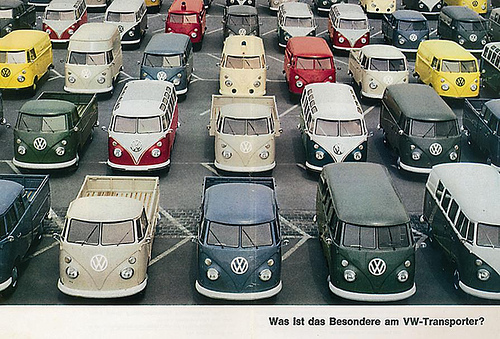 Its popularity has been sustained, remaining Volkswagen's best-selling van and the number one imported van in the UK. introduced. Over three million were made during 12 years of production.